Well this didn’t hold any punches, it takes you straight to the thick of it. Blood , guts, gore and a man that sees himself as an artist applying his finishing touches to his master piece, while I see him as a grotesque insane monster. What an opening! I thought well David McCaffrey where do you go from here because wow he had certainly caught my attention . I had just been witness to the aftermath of Jack the Ripper’s final victim. Now although this is a novella David McCaffrey certainly knows how to make every word count, there is never a lull in the book or a moment to catch your breathe. He goes on to deliver a story that is part fact, part fiction and no-one really knows so make your own mind up part. He does though weave it all together seamlessly so you aren’t aware of where truth and fable start and finish. David McCaffrey’s passion is certainly contagious and I found myself totally mesmerised in his story. It centres around the reasons why rather than who which was totally refreshing to me. 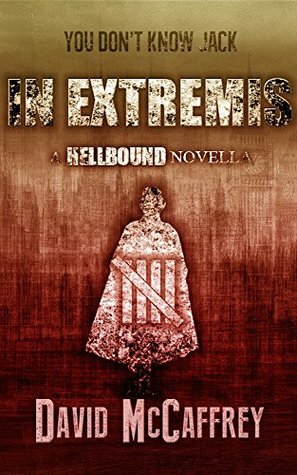 This is, as I first stated, a very gruesome novel so won’t be for everyone but if you are like me you will also feel the urgency to read the novel that follows this one Hellbound. This has to be a must read book for me. I am hooked! His project with Stephen Sayers, “By Any Means Necessary” is due out 15th November 2016.